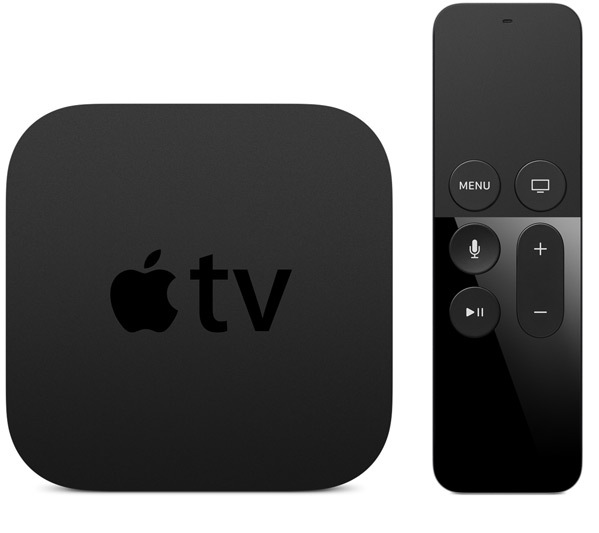 APPLE TV 4K 32 GB IN STOCK APPLE TV 32 GB [MQD22QM/A] - €217.00 : PrismaStore!, The source of Apple products. The Apple TV app lets you browse content from over 60 video services without switching from one app to the next. You’ll find movies, shows, and handpicked recommendations. The Apple TV app is already on iPhone, iPad, and Apple TV — so you can watch at home or wherever you go. Apps are the future of television. Think about it. On your mobile devices and computers, you already use apps such as Netflix, Hulu, WatchESPN, and iTunes to watch TV shows. And that’s exactly where TV in the living room is headed. Apps have liberated television. They allow you to make individual choices about what you want to watch. And when and where you want to watch it. With the new Apple TV and its powerful new tvOS, developers are creating experiences that will change what you expect from your big screen, making your TV feel as personal as your iPhone or iPad. With all these new apps on your TV, what’s the best way to find something to watch? Just ask Siri. With the Siri Remote, you tell your TV exactly what you want to watch. Or ask Siri to give you a few options, like "Find me some funny TV shows." Siri automatically searches across popular services like iTunes, Netflix, and more, so you don’t have to dig through each app individually. You can even ask Siri to launch a specific app. The Siri Remote takes the work out of watching TV.